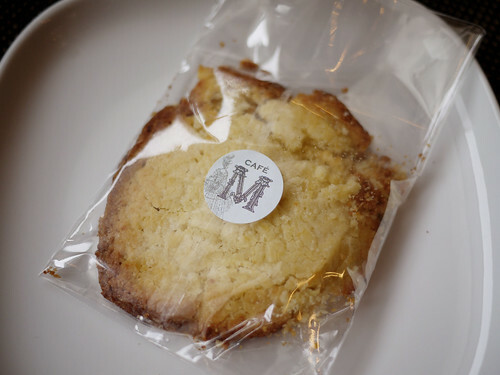 The cookie I picked up from Cafe M was so crumbly, M. didn't dare take it out of the bag for a picture. We gently slid it onto a plate and reluctantly picked at the pieces. It was so good! Despite falling apart in our fingers, the texture was really nice and the lemon a pleasant surprise. Now we will definitely have to try another or at least find out if it's meant to crumble as eaten.